Aerial view, date and location unknown but probably builder's trials or soon after commissioning due to condition of hull. 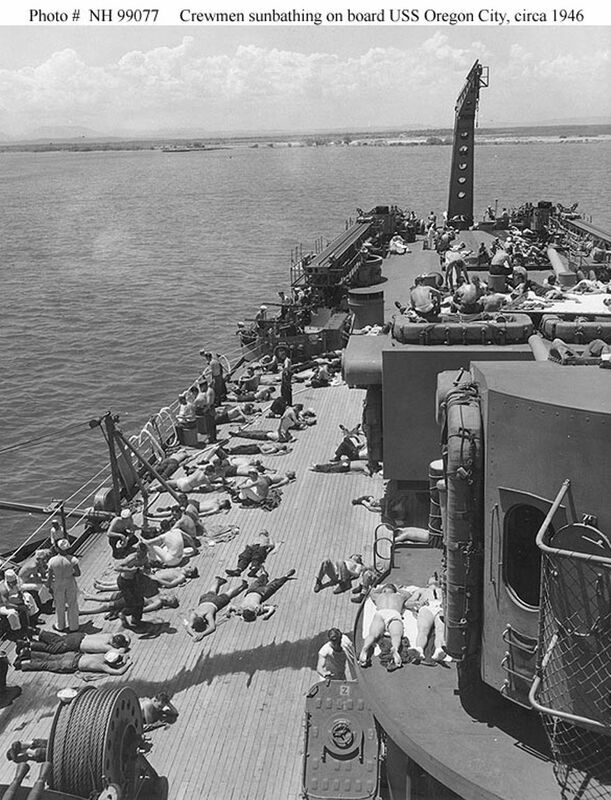 U.S. Navy photo, BUAer #195512. 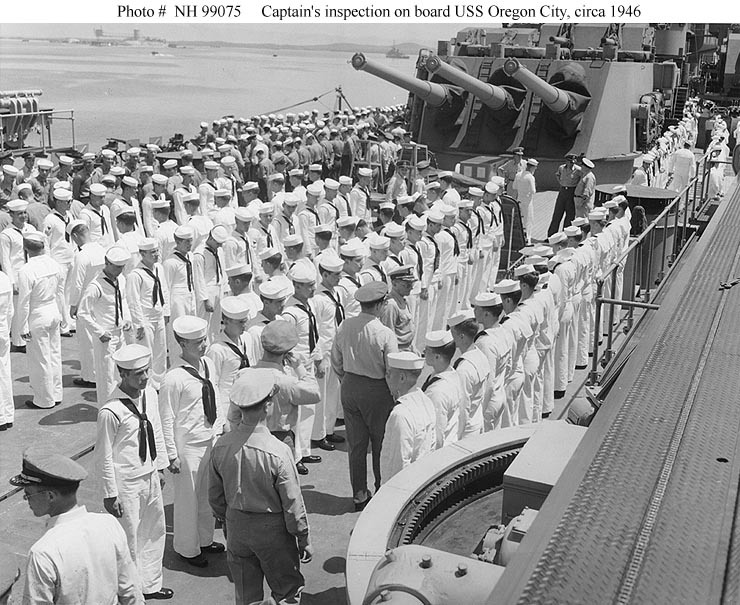 Captain's inspection on the cruiser's after deck, 1946. 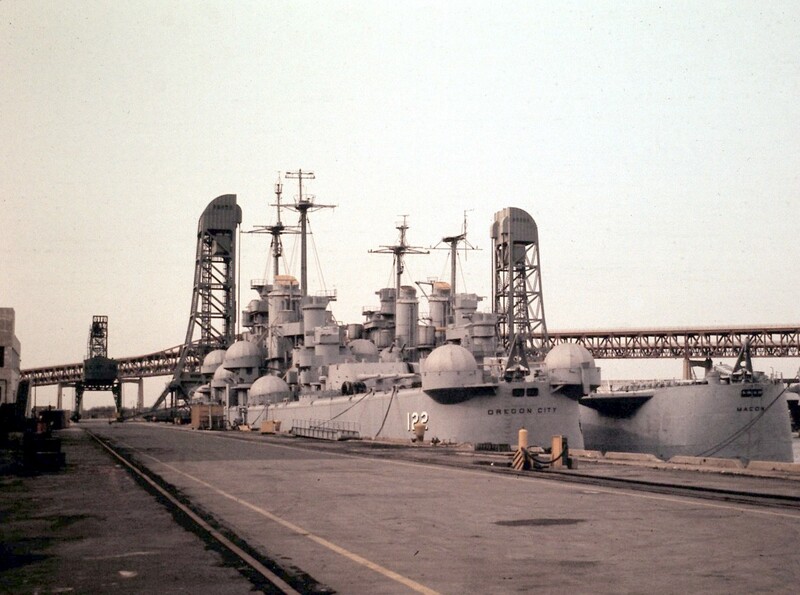 Note catapult training gear in the foreground, and ship's after triple 8"/55 gun turret. 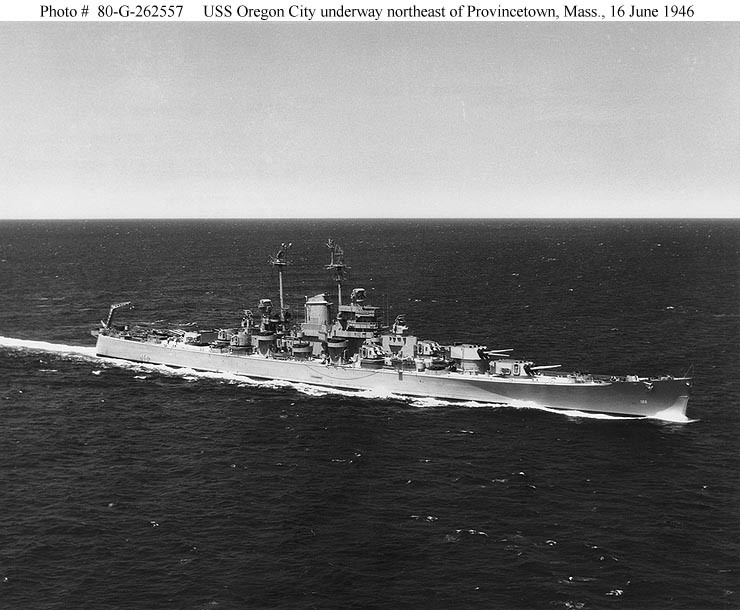 Underway approximately ten miles northeast of Provincetown, Massachusetts, on 17 June 1946. Photographed from an aircraft based at Naval Air Station Quonset Point, Rhode Island. 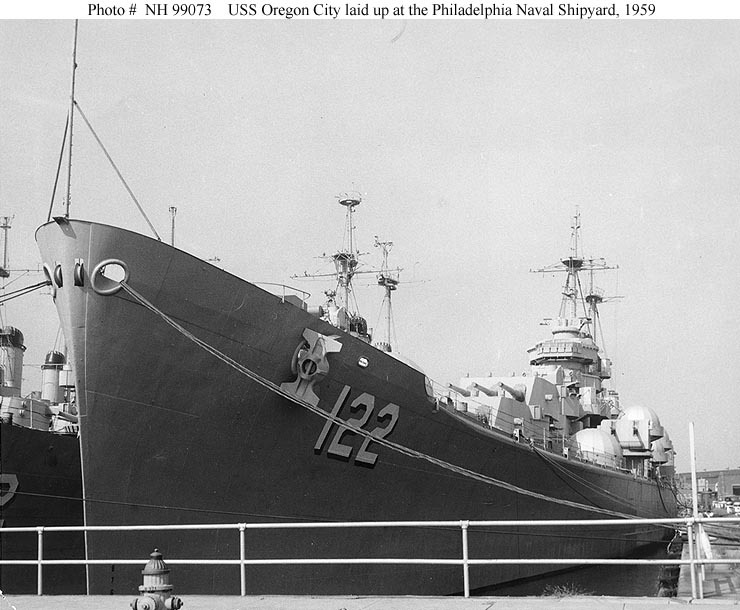 Official U.S. Navy Photograph, now in the collections of the National Archives #80-G-262557. 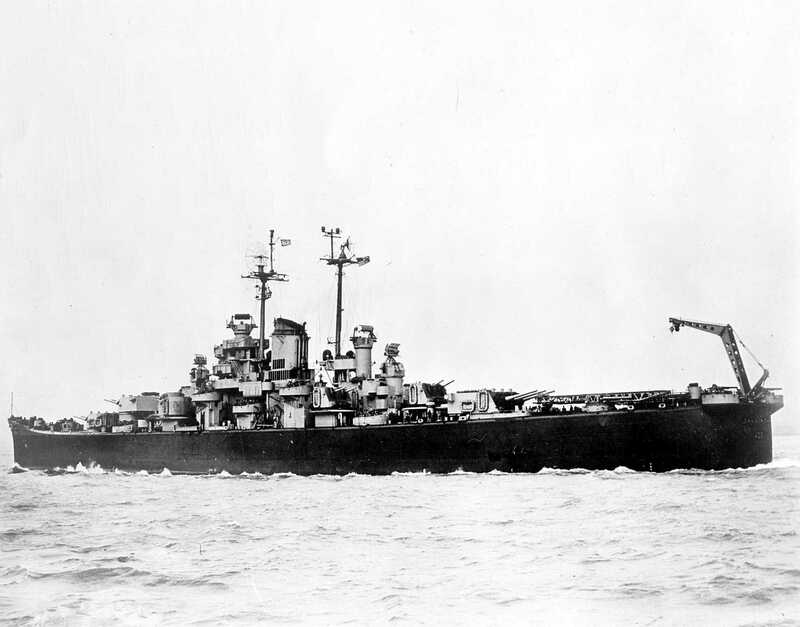 USS Oregon City (CA 122) Underway approximately ten miles northeast of Provincetown, Massachusetts, on 17 June 1946. Photographed from an aircraft based at Naval Air Station Quonset Point, Rhode Island. 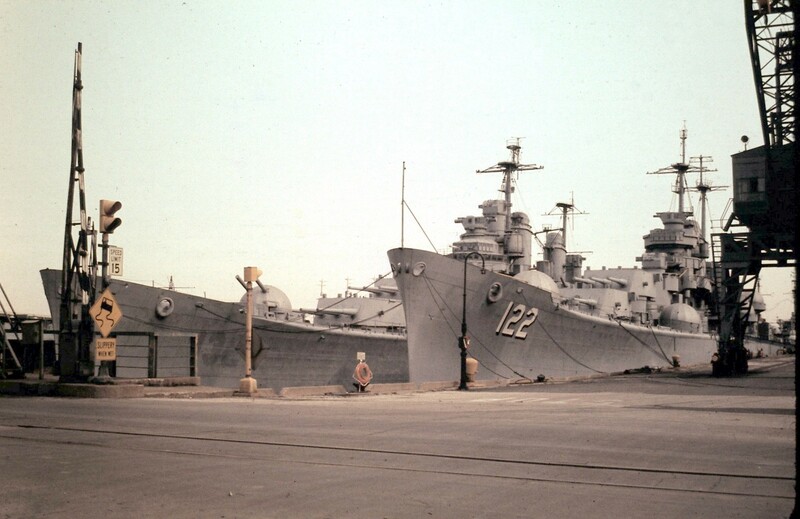 USS Oregon City (CA 122) Laid up as part of the Atlantic Reserve Fleet, at the Philadelphia Naval Shipyard, Pennsylvania, 1959. The original photograph is dated 8 September 1959. 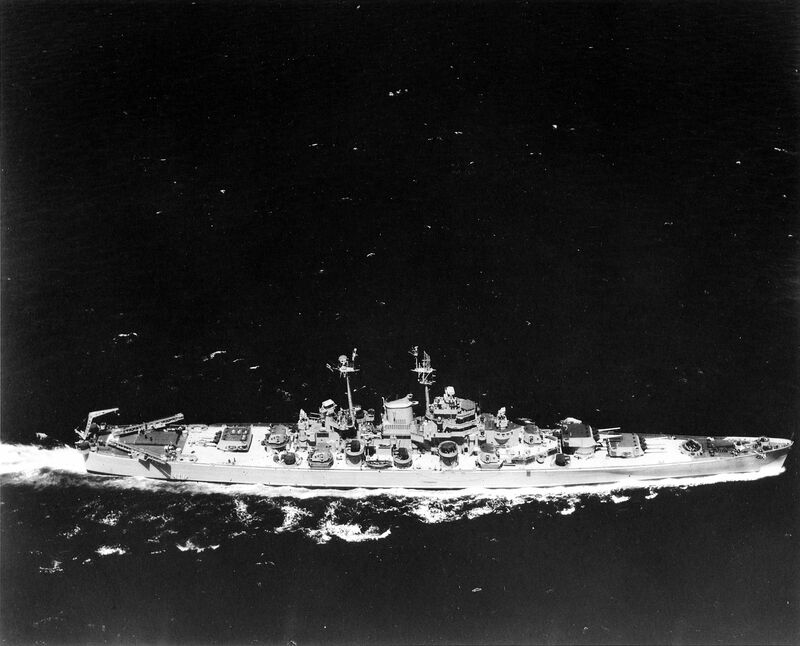 Official U.S. Navy Photograph, from the collections of the Naval Historical Center #NH 99073.